This drill is essentially a 2-on-none. The players start from each corner and skate out around the offside faceoff dots. 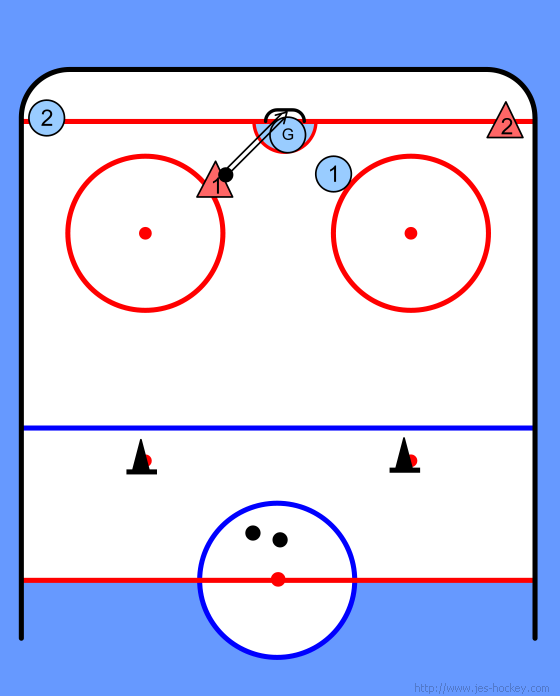 One player picks up a puck and passes in players must communicate as to who will pick up the puck. note: can add to this by adding a defender and make it a 2 on 1. Circle picks up a puck. 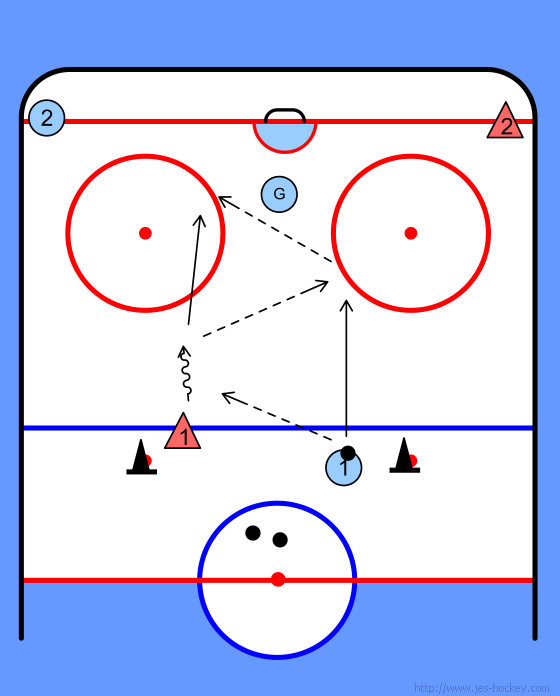 Players must communicate so as not to run into each other and not forget to pick up a puck. 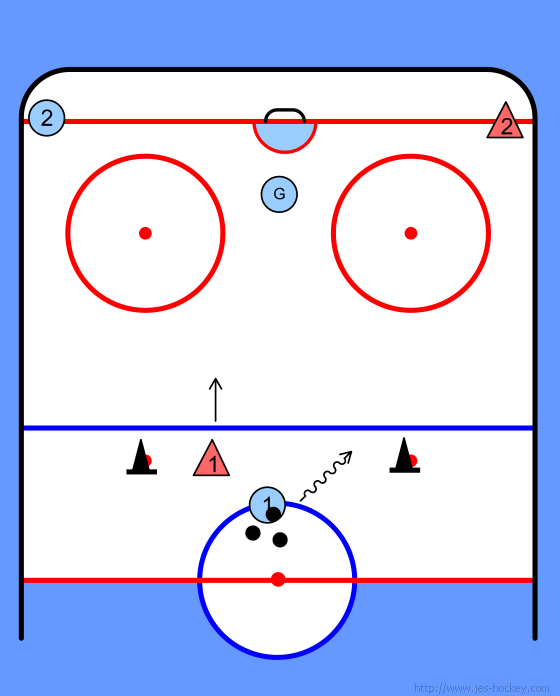 Triangle player must hold up and cruise along blueline to avoid going offside. Circle player must make sure he doesn't cause an offside by passing before triangle has to come to a stop.